More than 3.5 million children and adults sustain an acquired brain injury (ABI) each year. Injury to the brain can occur from a significant blow to the head or by rapid movements of the head that force the brain to bounce around within the skull. Significant swelling or bleeding inside the skull can result in increased pressure that damages delicate brain tissue. Suspect serious brain injury when a blow to the head clearly results in a diminished level of responsiveness. Activate EMS without delay and stabilize the head with your hands. Do not attempt to stop the flow of blood or fluid from the ears or nose. If the person has a seizure, protect the head as much as possible and protect him or her from bumping into nearby objects. Do not restrain the person tightly and do not place anything in his or her mouth. Seizures will generally last for just a few minutes. When the seizure stops, assess the person’s breathing and ability to respond. Provide CPR if necessary. Reassess regularly until EMS personnel take over. A concussion is a brain injury that generally results in less immediate or obvi­ous signs. For more, see our blog post Emergency Care for Concussions. Head, neck and spine injuries are common injuries that occur with contact sports. The Sports Injuries course reviews how to recognize and respond to typical contact sport injuries, with a special focus on the relationship between the athletic trainer and the EMS crew during an emergency. Individuals who have post-concussive syndrome or symptoms that occur after traumatic brain injury often have problems with functions such as: attention, judgment, memory, the ability to coordinate activities, and effective cooperation. 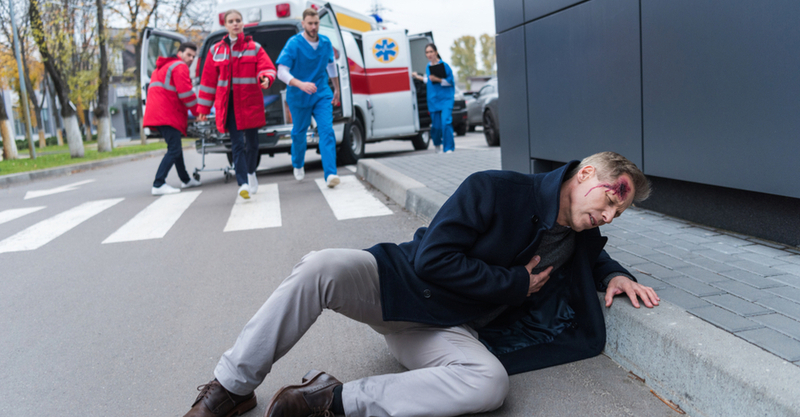 The Combat-Related TBI course helps EMS personnel develop a foundational understanding of what TBI is and the ongoing needs of people living with one or more cognitive, emotional, or behavioral disabilities.